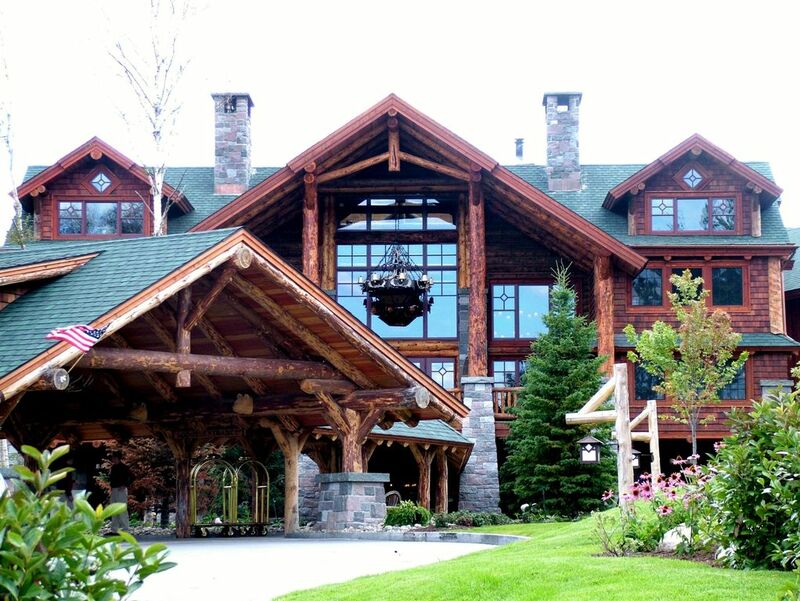 15-45% Off- Whiteface Lodge- Rustic Elegance! Amenities Galore! Prior to choosing "Request to Book", PLEASE read below. Holiday Weekends rent from Friday - Monday. For Summer, my weekly Specials rent from Friday - Friday. If you cannot do a full week I offer a 3 night, Friday - Monday Weekend or a 4 night, Monday - Friday mid-week rental. Please review my Calendar for availability. For Spring, Fall & Winter my weekly Specials rent from Friday - Friday. If you can not do a full week, I offer a 2 night, Friday - Sunday weekend (can extend to Monday if available), a 2 night, Sunday - Tuesday and/or a 3 night, Tuesday - Friday mid-week rental. Two-Story, Top Floor 2 Bedroom/2 Full Bath Fireplace Suite (Sleeps 4-6) - King bed in the master bedroom, queen in the 2nd bedroom, and a queen sleeper sofa in the living room. Visit VRBO #331565, or VRBO #950512, or VRBO #950369 for our 1 Bedroom Fireplace Suite options. Visit VRBO #900306 for a Junior Suite. Visit VRBO #377379 for 3 Bedroom/3 Full Bath Fireplace Suite. Visit VRBO #898713 for 3 Bedroom/3 Full Bath Grand Lodge Fireplace Suite. The oversized suite features handcrafted Adirondack-style furnishings, a cast iron gas fireplace, a fully equipped kitchen with custom alder wood cabinetry and granite counter-tops. The suite offers a private cedar and mahogany balcony with majestic views of the surrounding mountains. The bathrooms are spacious and are lined with Douglas fir beams, featuring a jetted tub and shower, double sink vanity, and radiant heated floors. The suite has its own washer and dryer, and the living room and each bedroom have an LCD television. There is complimentary high speed internet and telephones throughout. I am the owner of a vacation rental company renting luxury properties across the U.S. and Mexico, all of which I travel to and frequently stay at myself. The Whiteface Lodge is the only Lake Placid property in my exclusive portfolio because when I am visiting Lake Placid there is nowhere else I would rather stay! I am an owner here at this property too. I am renting a Junior Suite, multiple 1, 2 and 3 Bedroom Suites, and a 3 Bedroom Grand Lodge Suite at this property. My calendar and rates are updated almost daily, and I will respond to your inquiry and work with you through the entire booking process. Because it's Awesome! If you are looking for more than just a room to lie your head down, this property has all the amenities to pamper you and your family. You can fill your entire day with everything from swimming in the pools and hot tubs to playing in the game room, watching a movie in the theater, to treating yourself to a spa treatment or taking a quick trip down to the guest only Canoe "Beach" Club. I love bringing my family here, but I also like treating my friends. The property is great for couples and large groups too. We love getting together here and each time we do it is a very special experience. Complimentary Valet Parking & Self Parking available. Computers are available for all guests. There is an elevator to the top floor of the property taking you to this suite. Kayaks and Canoes are available complimentary when the Canoe Club is open. Paddles and life jackets are included. Boats can be rented w/a certified driver hourly at the Canoe Club. The following boats are available: a Deluxe Pontoon Boat, a Hacker Craft, a Nautique Ski Boat (includes water skiing and tubing). Pedal boats and stand-up paddle boards are available complimentary when the Canoe Club is open. Ask the owner for specific details. There is 1 indoor pool and 1 outdoor pool that connect. A stay at Whiteface Lodge is always such a treat for the whole family. This was our first time renting through VRBO and it was just as easy and seamless as renting through the resort, all while maintaining the highest standard of vacation living that one would be accustomed to at Whiteface. The only difference I saw was that breakfast was not included. Overall wonderful experience, will be back again soon. Relaxing retreat at a luxury Adirondack resort! Whiteface Lodge is the only place I like to stay when visiting the Adirondacks and renting through Tim made it simple, quick and at a huge discount from rates on other sites. This unit is on the third (top) floor and has a wonderful view of a pond and the mountains. The amenities at Whiteface are top-notch and all included with your stay: gym; indoor/outdoor heated pool; movie theater; game room; tennis/bocce/basketball courts in the spring-fall and ice skating in the winter; nightly make-your-own-s'mores at the campfire... I could go on and on but it's with mixed emotions that I write this review: once more people know how amazing Whiteface Lodge is and how affordable it is to rent through Tim, it'll be harder for me to get a reservation! We rented this two bed, two bath duplex unit up at WFL and could not have been happier. We have previously stayed there and always had a wonderful stay, but this was our first rental thru Tim. It was literally the perfect experience and there was less than zero difference between our stay and that of the average person booking through the WFL. Staff is wonderful and amenities are top notch. Kids loved the kids' camp and all was great. 10/10. Wonderful property for families. Has everything you need for a great vacation. Would highly recommend. I have been there several times, but had the privilege of bringing a group for the first time. They loved it as much as I do, and the looks on their faces when we arrived was priceless! Whiteface Resort has it all! Excellent accommodations. Outdoor and indoor activities- too many to mention- for our 6 and under grandchildren, And a very relaxing environment for all the adults Our yearly winter family getaway! for the last 5 years. Wish we were back again right now!